ZTE, one of the top five global handset manufacturers, today presents the Grand Memo II LTE, an ultra slim and high performance LTE Smartphone. With its 6” IPS display that takes up 80% of the handset, users can view high quality images, HD videos and movies with a 178 degree viewing angle. The device utilises ZTE’s brand new innovative MiFavor 2.3 user interface (UI) with a range of new icons, offering an intelligent but easy-to-use handset experience. 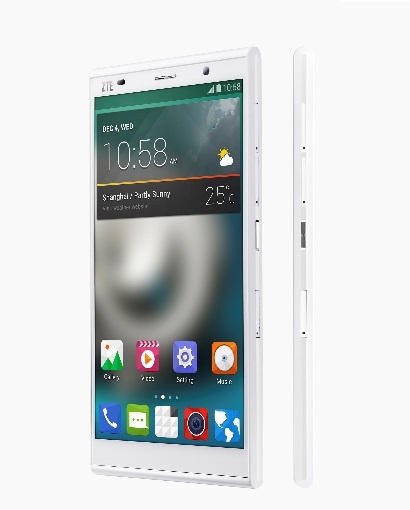 In addition, the Grand Memo II LTE combines stylish design with a practical 7.2mm ultra-slim frame. The new MiFavor 2.3 UI enriches the user experience, making the handset more natural for human use. By memorizing user habits, it offers users a simplified and tailored interface that can be customized to their needs using innovative intelligent split screens. Furthermore, the MiFavor UI brings elegant design features to the Google Android 4.4 KitKat operating system not seen on other devices including integration with functions such as notebook, calendar, weather forecast, alarm clock, Internet, and music. With 4G as a standard feature, the Grand Memo II LTE can not only stream movies at top speed, but audio playback is also a pleasure with Smart PA and 3D Stereo Sound. And with ZTE’s focus on maximizing battery life, users will be able to enjoy all the entertainment they want as the 3200mAh battery, combined with ZTE’s unique battery-saving solutions that cut power consumption by 30%, allows for 16 hours of continuous HD video playback, 72 hours of music playback or several days of normal use. With a Qualcomm® Snapdragon™ 400 processor, the Grand Memo II provides the required performance enabling consumers to take advantage of LTE and high speed mobile internet, online 3D gaming and HD video streaming as well as easily accessing social media channels such as Facebook and Twitter on the go. Furthermore, high quality pictures can be taken quickly and easily shared with the handset’s 13MP rear camera and 5MP front camera which is optimised for video calling. The ZTE Grand Memo II LTE has been designed with quality in mind. At just 7.2mm thin, the handset boasts a 6” IPS display made from Corning Gorilla® Glass 3 that covers 80% of the front. A textured back adds a luxury feel as well as making the product feel tactile in people’s hands. The ZTE Grand Memo II LTE follows last year’s launch of the Grand Memo LTE. The device will first launch in April in China, followed by simultaneous launches in Europe, North America and Asia Pacific.